A Quote: I'm sure that you can be made to listen to reason. For instance if I were to order your family brought here and made my guest until such time as we finished our negotiations, then one could assume you'd be willing to listen to reason. A group of armed thugs at his beckon call at all time times, a vast sum of money and the power to squash those who oppose him at his leisure. Yen used to work for Jabba the Hutt on Tatooine, he was moved off planet to deal with other holdings that Jabba wanted controlled and when Jabba was killed word finally reached Yen, who made his play for power by killing Bib Fortuna and taking possession of Jabba's palace on Tatooine. 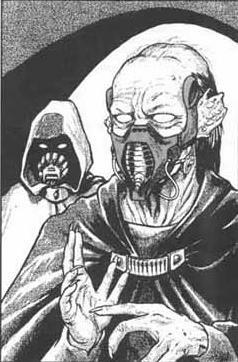 Rumor has it that Yen Foccta became a high ranking member of the Black Sun shortly there after.